Brazilian President Dilma Rousseff said she was "indignant" at the "betrayal" against her and vowed to continue her fight against the impeachment vote.In her first speech since losing an impeachment vote in the Chamber of Deputies or the lower house of parliament, Rousseff on Monday said: "This is not the beginning of the end. We are beginning a long fight," Xinhua news agency reported.On Sunday night, the Chamber of Deputies voted 367-146 to endorse impeachment against Rousseff, passing the matter to the Senate.Should the Senate decide within 24 days to begin an impeachment trial, Rousseff will have to step aside for 180 days for the trial to proceed. Vice President Temer will then take over as interim president. "They are torturing my dreams and my rights but they cannot hope to see me off, because democracy is always on the right side of history," she said in the speech delivered live on television,. "This fight will not just be for my mandate. 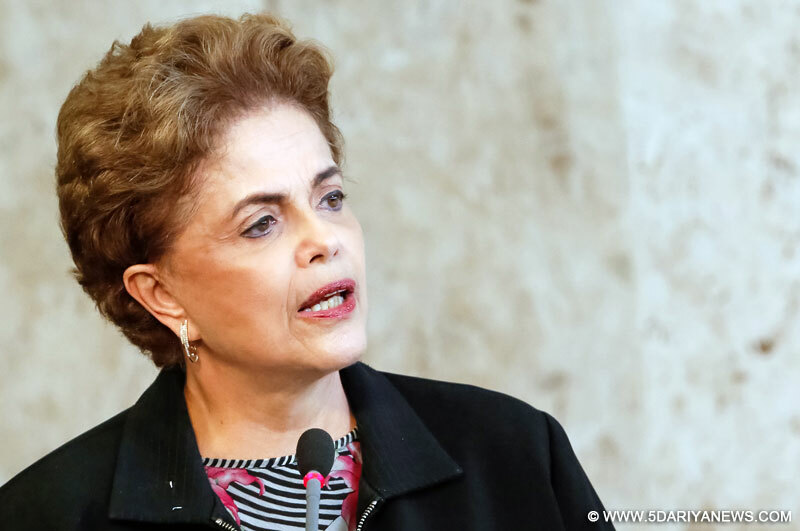 I will also fight for the 54 million votes I received," she vowed.The head of state blasted the lower house for treating her differently from previous presidents for so-called "fiscal irregularities".Rousseff's opponents said she delayed payments to state banks to artificially improve the appearance of public accounts during her 2014 re-election campaign. "This was done by other presidents before me and these were never called illegal or criminal acts," Rousseff said.Rousseff was particularly scathing Vice President Michel Temer from the Brazilian Democratic Movement Party (PMDB) who quit the ruling coalition on March 29, saying it was "startling" that a vice president would actively conspire against a sitting president.Rousseff also confirmed that she had instructed the attorney general to question the validity of the impeachment process at the Supreme Court while she is also preparing her potential defence in the Senate. "We will use every instrument to exercise our right to defense," she added.